An update of the corals. Have been following patterns in the book, but also started to make up free‐form ones, like the orange ones on the far right. And now, another round of ideas for the craft‐along party (party starts tomorrow! interested in joining? See this post for more details). Polka dot sweater (or, I would call it the toad stool sweater :D) from Kittenhood. 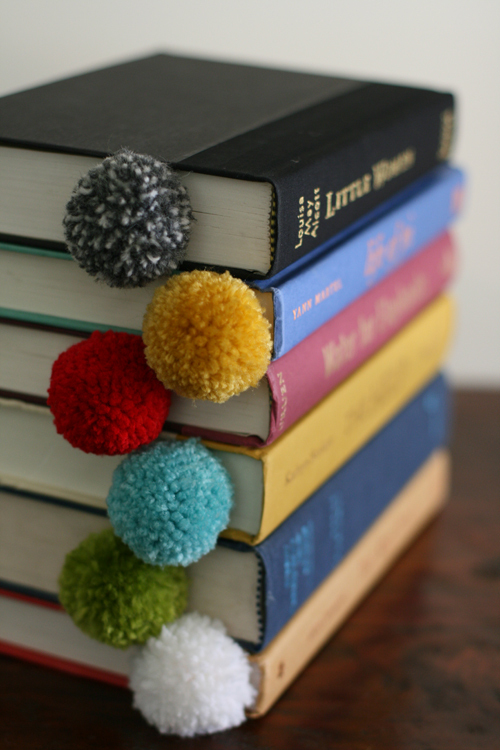 Super quick pom pom bookmarks from Design Mom. 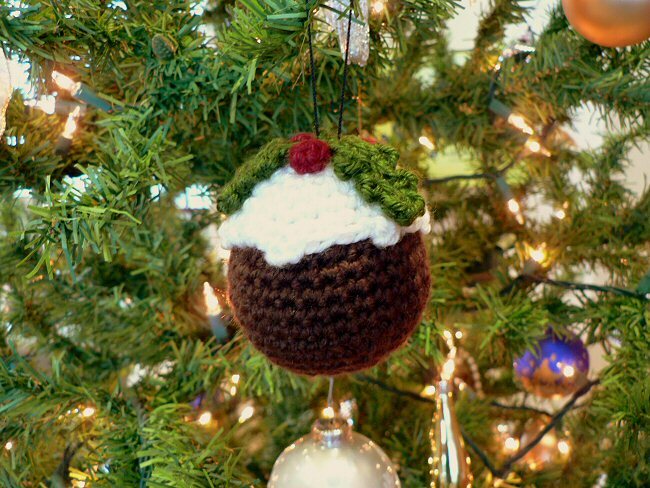 And for anyone who’s getting ready for Christmas — plum pudding ornament! :D From Planet June. Wishing you a weekend of happy creativeness! :D Excited to see what everyone makes! Well, my weekend away had to be cancelled as my husband was admitted to hospital with a bad chest infection. He will be ‘on the mend’ soon, I hope, but in the meantime I have my craft‐along‐party to cheer me up. Really thinking Christmas crafts as I went with my baby granddaughter (aged 4 months) to welcome Santa to one of Dublin’s biggest shopping mall yesterday!!! Talk again after weekend, Sheila. All my best wishes to you and your husband this weekend! 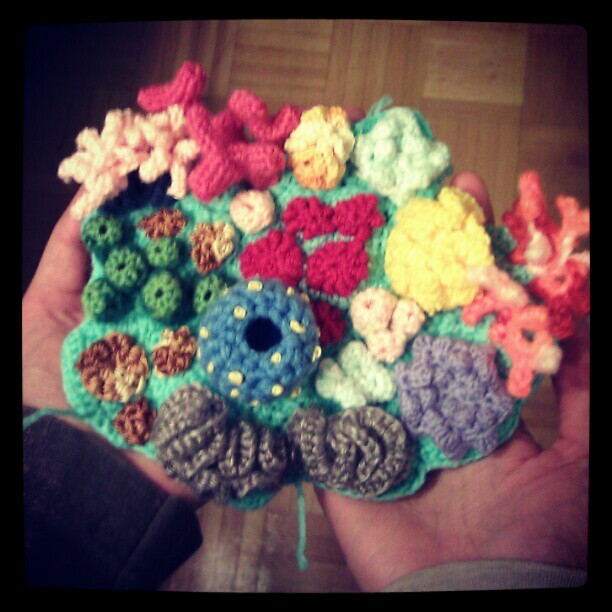 Lovin’ the ever‐growing coral reef! Well, I’m glad we have the whole weekend because I’ll be doing another kind of creativity on Saturday: singing. Taking the ferry over to Whidbey Island (It’s in Puget Sound)to the Daughters of Norway Holiday Bazaar. I belong to the Norwegian Ladies Chorus of Seattle and we’ll be performing. Maybe I’ll post a pic of us singing, too! So, I’ll be crafting away on Sunday and thinking of you guys. Sheila, I hope your husband feels better soon!